Coaching Specialisation: Trail Running all distances; Road running all distances; Ultra running including 24 hours and longer. Jodie has achieved success trail running, on the road and at ultra track events. 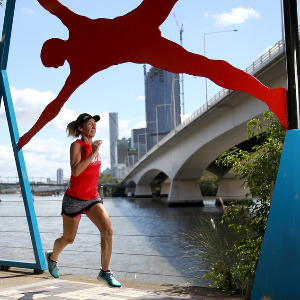 Originally from Western Australia and now residing in Queensland she has represented Queensland at the National Half Marathon, Marathon and Mountain Running Championships and Australia in the 100km and 24 hours World Championships. She has experienced many of Australia’s iconic ultra events, has completed the Comrades Marathon, Up and Down achieving the coveted Bill Rowan Medal on both occasions and believes this is an event every ultra runner should experience at least once. Jodie has been running for over a decade, and is passionate about getting more women to experience trail and ultra running and caters for all abilities. ‘Sometimes it just takes one person believing in another and I gain a lot of satisfaction helping others achieve their goals whatever they may be. I strongly believe we can achieve freedom through a love of movement, and a life long love of running”. Success. Coach Jodie Oborne has been notified of your message.